Home Bankruptcy BlogAvoid Bankruptcy What is an Orderly Payment of Debts or Consolidation Order? 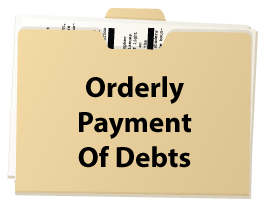 What is an Orderly Payment of Debts or Consolidation Order? Orderly Payment of Debts (OPD), often referred to as a consolidation order, is another alternative to bankruptcy that is available in a few provinces across Canada. It is an excellent program for those who want to avoid a bankruptcy, can afford to pay everything in full but cannot qualify for a consolidation loan. How Does Orderly Payment of Debt Work? An Orderly Payment of Debt is a legislated program that each province may elect to run. At this time it is a debt relief option available to residents of Alberta, Saskatchewan, PEI and Nova Scotia. Under an OPD program, a court order will reduce your interest rate to 5%, stop any collection activities of your creditors and allow you to make one consolidated payment to your administrator. Who Qualifies for an Orderly Payment of Debt Program? Cannot qualify for a consolidation loan. If you fall into this category and live in one of the applicable provinces, then you would contact the local organization who is responsible to administer the OPD program in your province (In Alberta where I live it is done through Money Mentors). The administrator will then make a court application on your behalf for a consolidation order. This order will consolidate all your debts and fix the interest at 5%. It also will implement a Stay of Proceedings (court protection) that will stop any active collection efforts being made by your creditors (i.e. court action, garnishment etc.). As part of this consolidation order you will be required to make regular monthly payments to your administrator. These payments are typically over a 26 to 48 month term and are set based on your ability to pay. As you can see, this is on option that the government provides to allow you to regain control of your finances but still avoid a bankruptcy. This is an excellent program that works in very specific circumstances; however a word of caution. In most instances a consumer proposal makes better financial sense. An Orderly Payment of Debts is usually more expensive than a consumer proposal as it requires you to pay your debt in full plus a fixed 5% interest. In a consumer proposal you are often able to settle your debt for only a portion of the principle owing and you eliminate all the interest. Both a consumer proposal and OPD have the same impact on your credit rating rating. So typically you find that an Orderly Payment of Debt will cost you more, and there is no real benefit to that higher price as it is reported in the same way to the credit bureau (at least with Equifax). So where you are better served under with Orderly Payment of Debt? If your income is high enough that you can afford to pay your debts in full but the interest relief of an OPD would help, then I would suggest pursing this option. Otherwise, I’d recommend a consumer proposal as an alternative. The fact that you have read this article suggests you are on the right track, you are researching your options and that is essential. But the next step is to contact a local trustee to book a free consultation. If you are in or near Edmonton, contact me directly. If you are elsewhere in Canada, find a local bankruptcy trustee who will help you determine what options are available in your area, help you to determine what options will work best for you and answer any additional questions you might have. Barton Goth, BA, MBA, CIRP is a Licensed Insolvency Trustee with Goth & Company Inc. In addition, he holds a Masters in Business Administration with a specialization in finance. Barton regularly meets with people seeking help with their debt problems and works with them to find the best possible solution. Debt Consolidation: Is It Your Best Option? How can I make a consumer proposal without cash on hand? Hi Dave. To make a consumer proposal you have to have something to propose to your creditors. That means you either need to have some cash on hand (to make a lump sum proposal), or an income so that you can make a proposal to make monthly payments over a period of time. Your trustee can explain in more detail what type of proposal is likely to be accepted by your creditors. how much cash you have to have roughly to do the consumer proposal thing? For example if you have $20,000 in debt? Thanks. 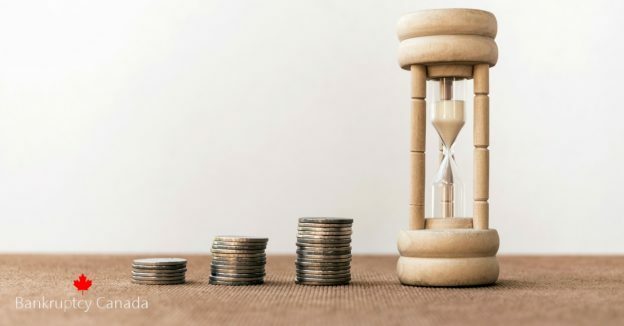 The amount you need to offer your creditors in a consumer proposal will depend on your debt, but also on your income and your other assets, so each situation is unique. We recommend that you contact a licensed insolvency trustee for a no charge initial consultation to determine what they estimate you would be required to offer in a consumer propsoal. – will these not be “written off” soon anyways since they are from 7 years ago?? – what options do I really have regarding my student loan? Is there a point of being on OPD if my interest rate is 5% or lower as it is? If you have been out of school for seven years, a student loan can be discharged in a bankruptcy or consumer proposal. Whether or not that is better for you than continuing with the Orderly Payment of Debts program will depend on your family income and other assets. 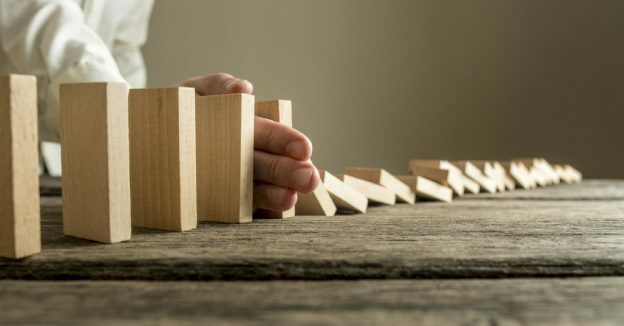 It’s likely that a proposal or bankruptcy is a better option, but to find out you should request a no charge initial consultation from a Licensed Insolvency Trustee.